''The public is flocking to our events. 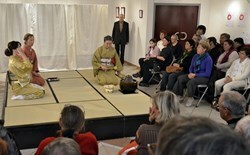 The theatre was filled to capacity for the tea ceremony in November,'' says Eliana Bia, the Head of Sainte-Tulle's public library. The village of Sainte-Tulle (pop. 3,500), whose name is derived from Tullia, the saintly daughter of the hermit who lived in the cliff overlooking Cadarache, is located some six kilometres to the southwest of Manosque. The village is home to no historical landmark, illustrious birthplace or ancient monument. Tourists driving on route D4096 from Manosque to Aix-en-Provence barely notice its existence. There is, however, something special about Sainte-Tulle: a very active and creative public library and media centre, and a dense network of clubs and associations. Last year, the local bonsai and judo clubs came up with an interesting suggestion: why not organize something that would contribute to an understanding of present-day Japan, get rid of the usual clichés and promote a broader interest in the country's culture? "Building on this idea," says Eliana Bia, the Head of Sainte-Tulle's public library, "we developed the 'Year of Japan,' which opened in November and will continue until the end of June." 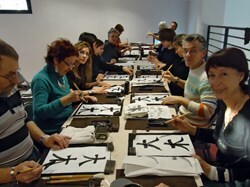 The local and regional public has already been exposed to a large spectrum of cultural expressions from Japanese civilization: haiku and calligraphy workshops, conferences, exhibits, a "tea ceremony" at the local Municipal Theatre, and a "Week of Japanese cinema." 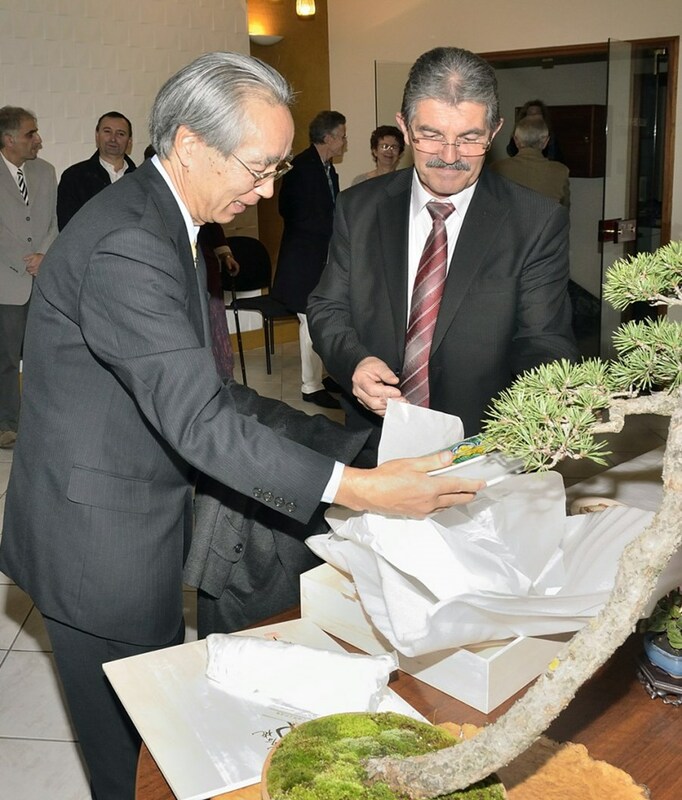 The ''Year of Japan'' in Sainte-Tulle was inaugurated in November by Rémy Charpy, Mayor of the village and Danai Tsukhara, the Japanese Consul General in Marseille. The coming year has still more in store, with a public reading of contemporary Japanese literature in February, a Japanese-themed carnival in March, an ikebana (flower arrangement) workshop in April and a final tea ceremony in May. "The public is flocking to our events. 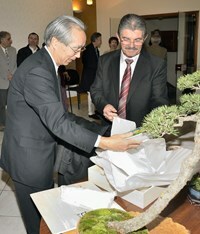 The theatre was filled to capacity for the Japanese Consul's conference and for the tea ceremony in November," says Bia. 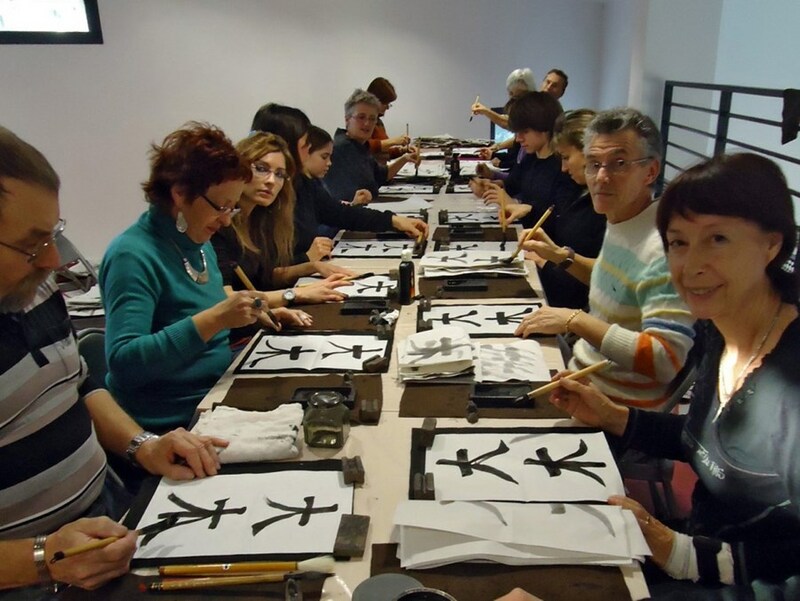 "The proximity of ITER and the International School in Manosque, whose Japanese teachers are associated with the event, has stirred an interest in all things Japanese. What we offer is an opportunity to glimpse the reality beyond its popular and often inaccurate representations ..."
Click here for a detailed program of the "Year of Japan" in Sainte-Tulle.